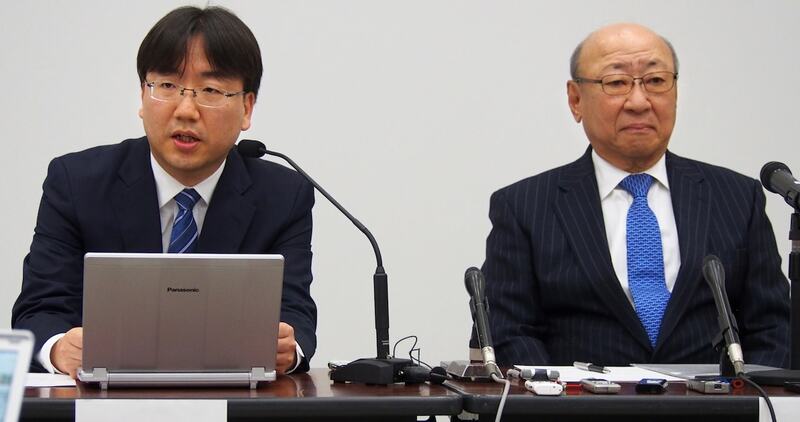 Nintendo president Tatsumi Kimishima has spoken about how Shuntaro Furukawa was chosen as the man to replace him in his role. That came in response to a question at the company’s financial results briefing, where someone recalled that when the late Satoru Iwata became president, Hiroshi Yamauchi had said that “the president of Nintendo needs to be a little unusual.” They were therefore interested in the reasoning behind why Kimishima had chosen Furukawa to become president. “I have my own thinking about why Mr. Yamauchi talked about being unusual when he named Mr. Iwata as president,” Kimishima began. “Mr. Yamauchi worked for more than 50 years in the game business and he stubbornly stuck to his beliefs. He always felt that software is key to the game business, and that creating the software naturally takes time and labour as well as money, and that you have to go all out and never quit. He also always felt that the purpose of the hardware is to bring the best out of the software, and he never changed his thinking on this. “I imagine he would say that a person who would readily bend Nintendo’s core attitudes would be unfit for the job. In a sense, he was calling for a stubborn person, or as he might say, a thoroughly unusual person. My understanding is that he used that word to mean someone who would not change, no matter what other people or what other companies said, and would want to preserve any aspect that makes Nintendo different from the others. “As to whether Mr. Furukawa is in any way unusual, I can just say he has extremely strong inner fortitude. He has clear and articulated opinions, he understands the Nintendo point of view, and he can express that to everyone in his own words. The Corporate Planning Department (headed by Mr. Furukawa) has the important mission of conveying the Nintendo point of view to all employees, including people involved in development and sales as well as people in other countries. It is important that the department remain on point no matter where the conversation leads, and he has been extremely competent at that. “Another component has something to do with the fact that more than half of Nintendo’s 5,500 employees work outside of Japan. It would be hard for anyone to lead Nintendo if unable to directly communicate their views to overseas workers, including those in important senior positions, or if they could not make decisions quickly, and lacked the capabilities to follow through.